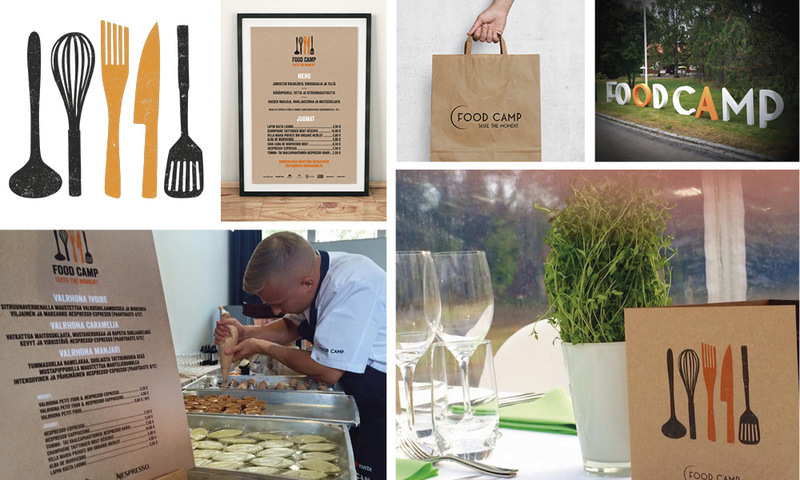 We designed visual identity for Food Camp that illustrated the new event concept. In addition to the visual look, we created visual layouts for menu-books, invitations, programs and other materials. Ecology of material choices was in important role of designing, which was taken into account in all materials as well as in signage and 3D lettering. The visibility of the event was supported and promoted by web and print advertising.